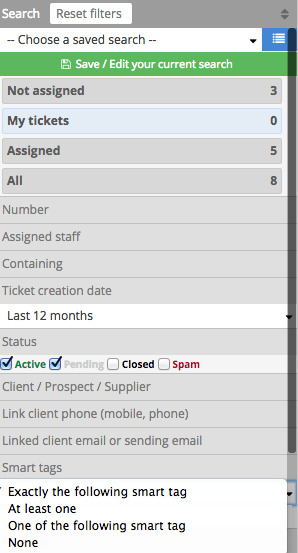 The helpdesk add-on includes smart tag management. This feature allows you to better organize your tickets. For example, you can organize your tickets by categories ("Feature Request," "Bug," "blocking problem," etc.) or create priority levels ("Urgent," "Normal," etc.). It takes just one click to attach one or more smart tags to your ticket. Click enter when you are done writing the tag you want, and it will automatically be formed into a light blue box. How do I forward support emails ? How do I link a contact to a ticket?